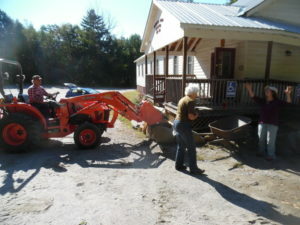 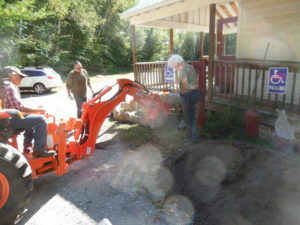 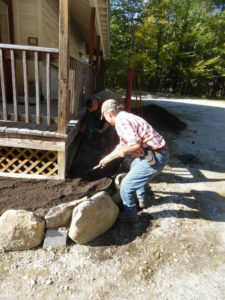 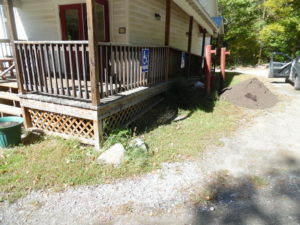 18-09-23 #04 Gerold dumps soil, Elizabeth & Carol are pleased! 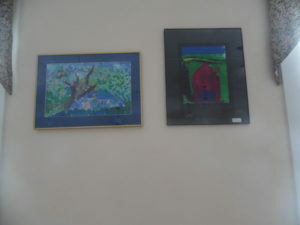 At the Grange Open House on April 1st, 2017 a new art gallery opened in Berlin, featuring art from the collection of Lynn Spencer, Berlin Elementary’s art teacher. 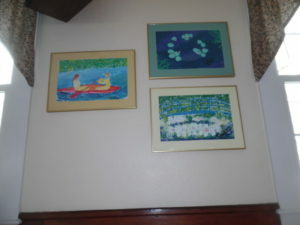 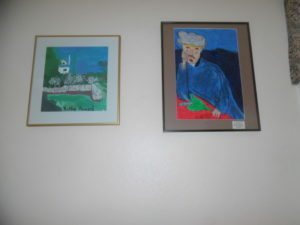 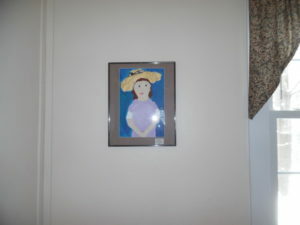 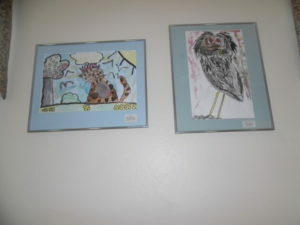 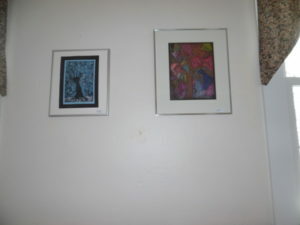 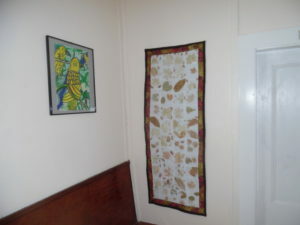 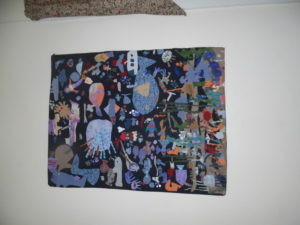 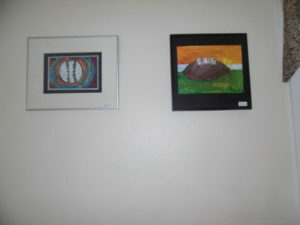 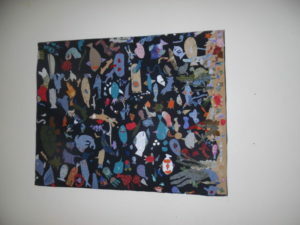 In a partnership with Capital City Grange, Lynn found a place to display artworks she has collected since 2002. 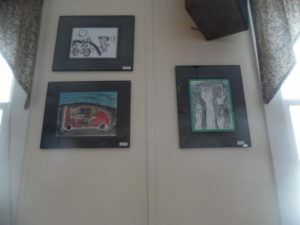 The storage space in the Berlin Elementary School needed to be emptied due to upcoming reservations, and CCG is happy to show off the colorful, lively and inventive works. 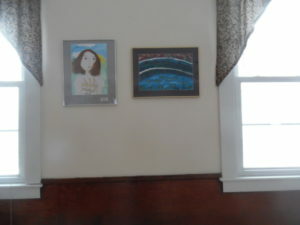 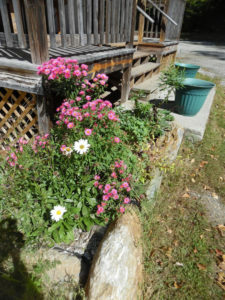 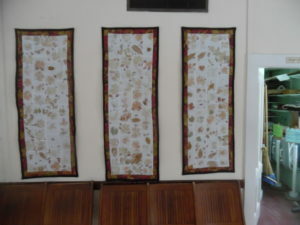 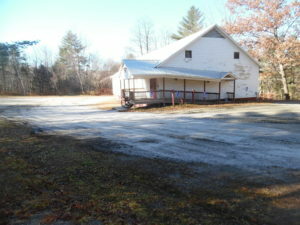 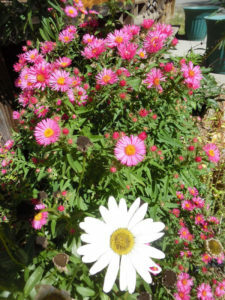 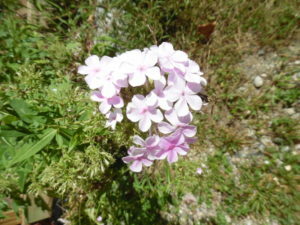 Look for an opportunity to come by the Grange Hall to see them in person! 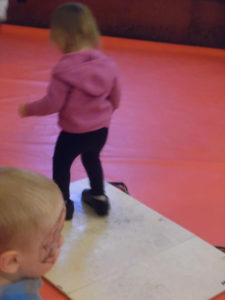 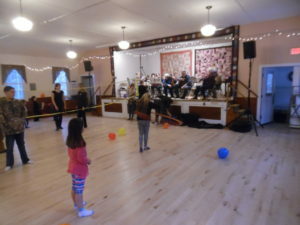 The Friends of the Capital City Grange Hall sponsored the 2nd edition of the Family Fun Day which we first held a year ago. 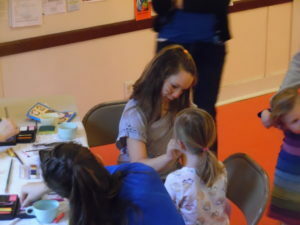 Once again, families of all ages enjoyed face-painting, balloons & hula hoops and much more. 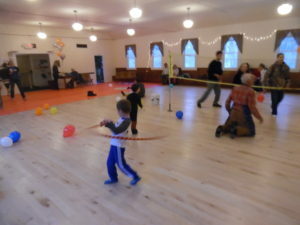 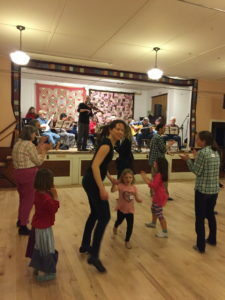 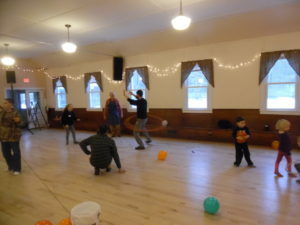 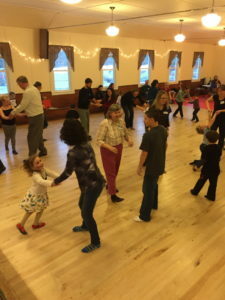 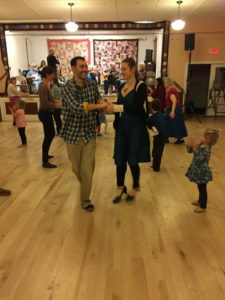 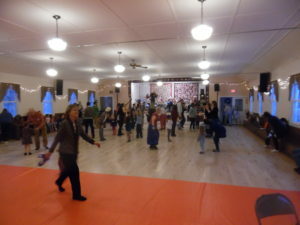 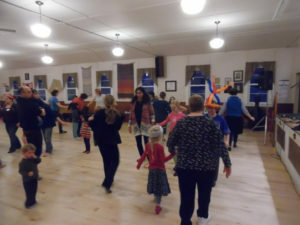 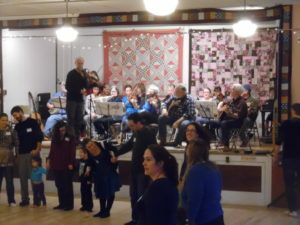 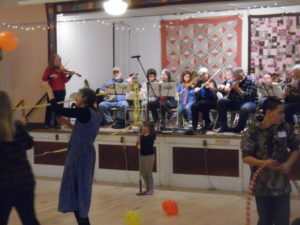 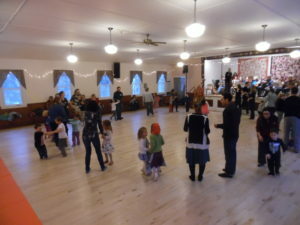 Experienced community dance caller David Kaynor, with about 18 members of the VT Fiddle Orchestra, which he directs provided wonderful music and energetic dancing for a mixture of kids, parents, grandparents and friends. 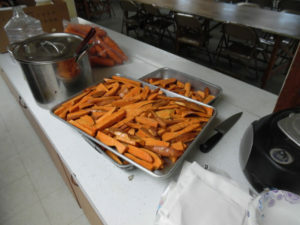 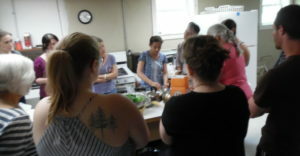 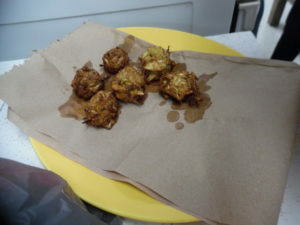 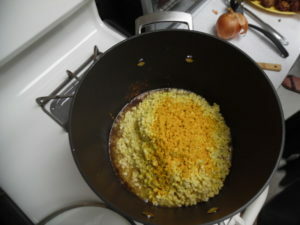 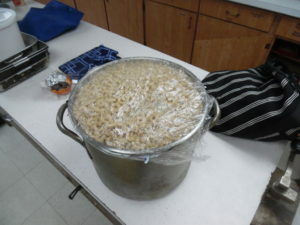 After we worked up our appetites, Alison Forrest and her crew of kitchen workers dished up a very tasty dinner of macaroni & cheese, with sweet-potato fries and carrot sticks, cookies and more. 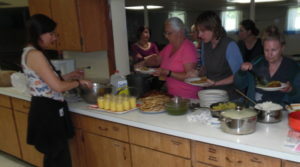 She even provided choices for those who can’t eat dairy or wheat products! 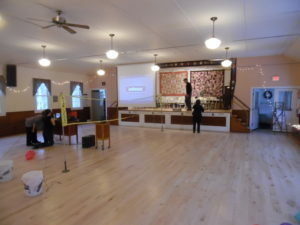 The event finished off with movies shown in the Main Hall. 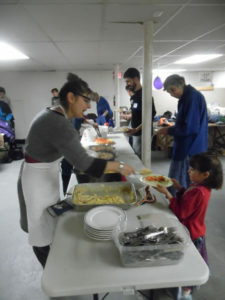 Many thanks to all the volunteers who made the event work so well. 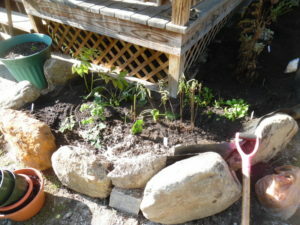 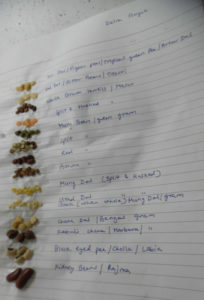 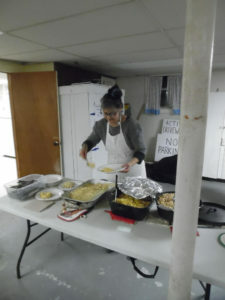 Most of them worked from set-up through clean-up! 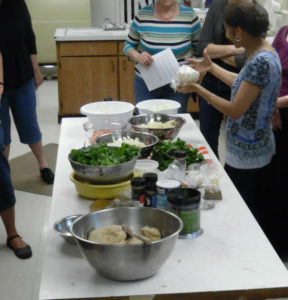 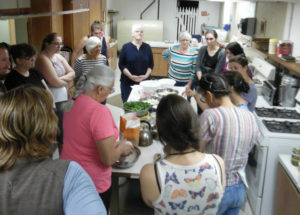 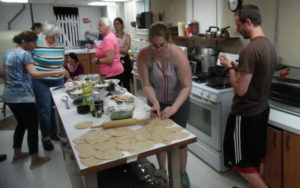 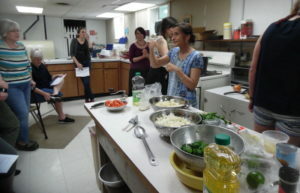 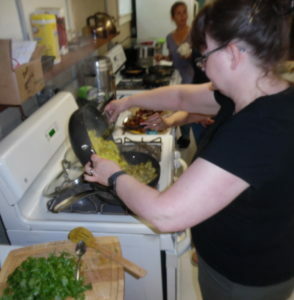 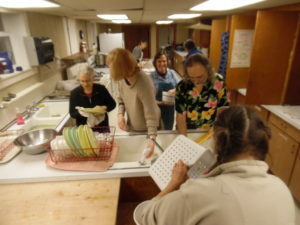 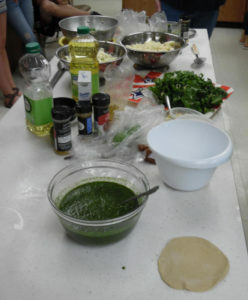 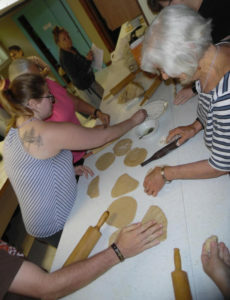 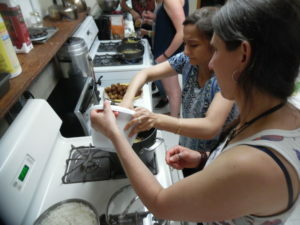 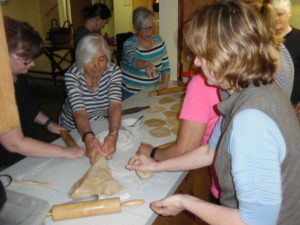 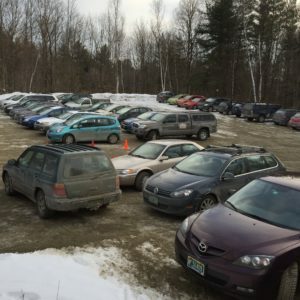 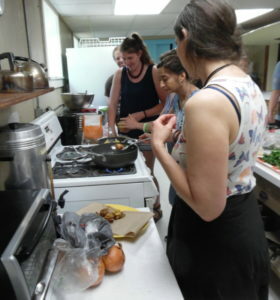 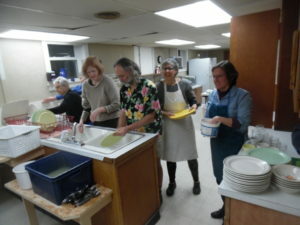 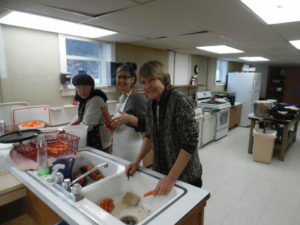 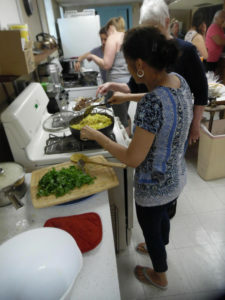 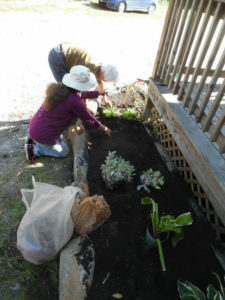 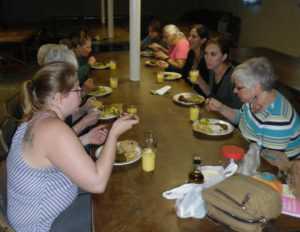 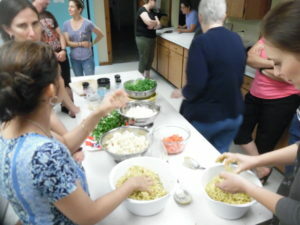 These included main organizer Joanne Garton, plus FCCGH chair Patty Giavara, head cook Alison Forrest, Tim Swartz, Merry Shernock, Ann Pearce, John & Fran Mallery, Elizabeth Templeton, Nancy Turner, Liz Benjamin and more. 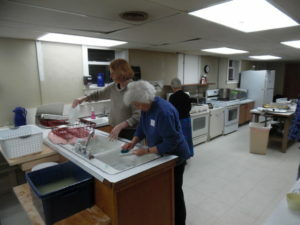 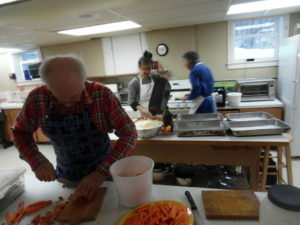 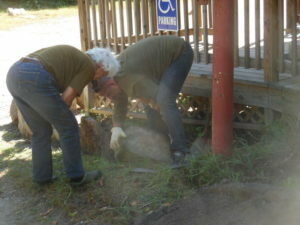 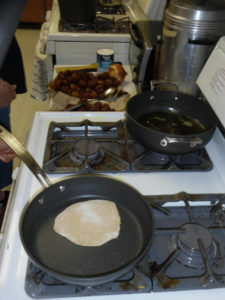 Stan Carlson & Marj Power pitched in on the kitchen clean-up. 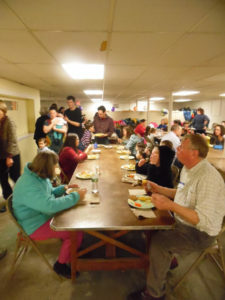 If you want to be part of the “in-crowd”, there’s always room for more! 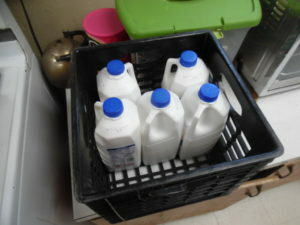 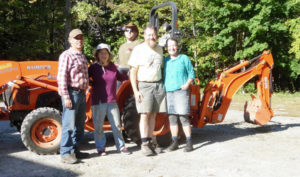 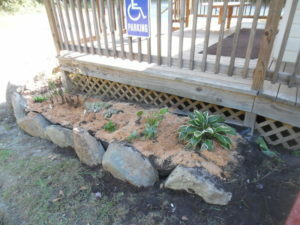 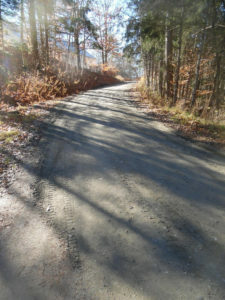 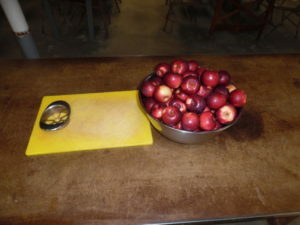 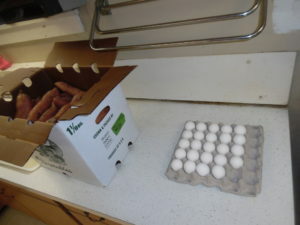 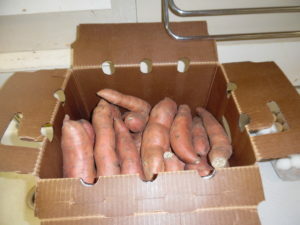 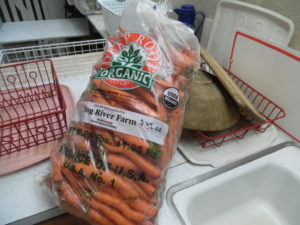 We also want to thank donors: George Gross of Dog River Farm (just down the road) donated 25 lbs. 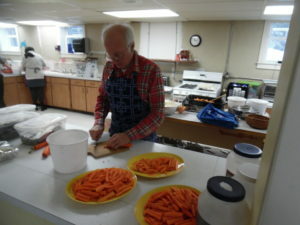 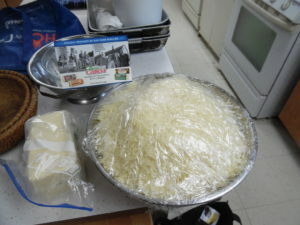 of carrots, and Cabot Cheese donated 10 pounds of their trademark cheddar cheese!